Hamilton May Warsaw is a branch of the Hamilton May LLP company. Our aim is to offer a wide range of real estate services on the Warsaw property market to provide our clients with a reliable and complete solution to their Warsaw real estate requirements. Hamilton May Warsaw focuses specifically on the sale and rental of apartments and houses at the high end of the Warsaw property market in addition to activities in commercial sales and lettings and property developments. Our property services cater for both private individuals and companies from Poland and abroad, using both Polish and English languages. 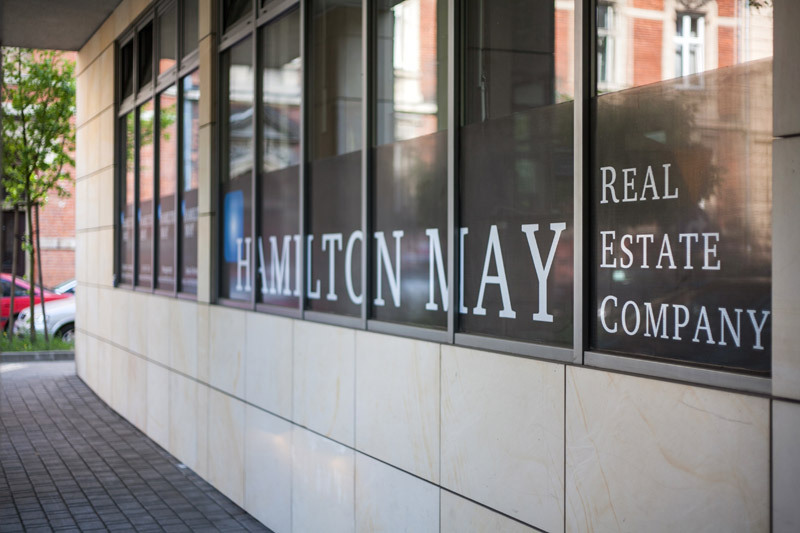 Hamilton May opened for business in 2004 setting out to achieve new standards in the Polish property market in terms of customer service and professionalism. Our unique approach to property services has enabled us to develop a loyal client base of property owners. Combined with powerful marketing and regular word of mouth referrals this further strengthens our ability to connect Warsaw property owners with buyers and tenants. With a strong track record of handling company accommodation and housing requirements, Hamilton May has built a significant client base of many of the major companies operating in Warsaw and Poland.Our client portfolio includes Cisco, Bridge street, State street, Brown brothers Harriman, amongst many others. Hamilton May sells and rents residential apartments and commercial properties based mainly in the more desirable and city centre regions in Warsaw, such as Srodmiescie and Mokotow. Our offer is geared towards high end, luxury end of the market, intentionally targeting the developing modern stock of property in Warsaw and in line with the requirements and expectations of our clients. Example Warsaw developments include Milsona Park, Marina Mokotow, all prestigious apartment buildings in their own right and housing some of the most desirable apartments in Warsaw. The key to a successful property search in Warsaw is access to properties. Hamilton May has access to its own sizeable database of Warsaw property for sale and rent, sourced through direct contact with our client network and also via other Warsaw based real estate agencies. Before initiating a property search, our agents will thoroughly research your requirements to ensure targeted viewings, saving you time and hassle and increasing your chances of successfully finding the house, apartment or commercial premises to meet your criteria. Hamilton May also offers serviced short term rental apartments to complement more traditional long term rental solutions. Serviced apartments can provide temporary accommodation to fill in the gaps between starting your property search and signing your lease, or simply catering for short stays and business trips to Warsaw.